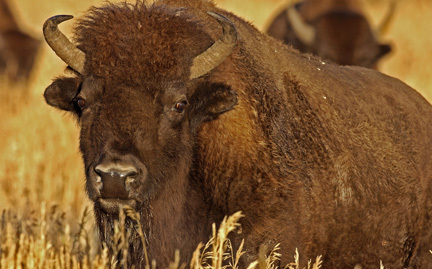 Once numbering 30 to 60 million, bison roam the great plains of North America. Males weigh up to 2,000 pounds and can measure six feet high at the shoulder. While these giants may look slow and heavy, they can run as fast as a horse, turn quickly, and do a standing jump of over six feet straight up.